What is Logistics and Supply Chain Management? Supply Chain Opz: What is Logistics and Supply Chain Management? What is Logistics and Supply Chain Management? What is the Difference Between Inbound Logistics and Outbound Logistics? "Inbound Logistics refers to movement of goods and raw materials from suppliers to your company. 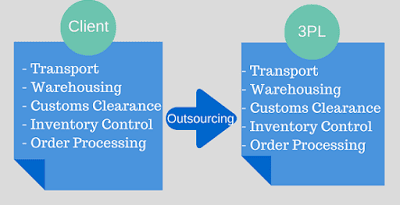 In contrast, Outbound Logistics refers to movement of finished goods from your company to customers"
As you can see, purchasing function and warehouse (distribution center) communicates with suppliers and sometimes called "supplier facing function". Production planning and inventory control function is the center point of this chart. Customer service and transport function communicates with customers and sometimes called "customer-facing functions. What are the Transport and Logistics? 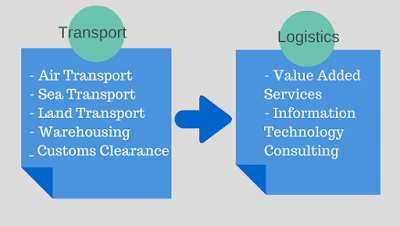 "Transport and Logistics refers to 2 types of activities, namely, traditional services such as air/sea/land transportation, warehousing, customs clearance and value-added services which including information technology and consulting"
"International Logistics focuses on how to manage and control overseas activities effectively as a single business unit. Therefore, companies should try to harness the value of overseas product, services, marketing, R&D and turn them into competitive advantage"
What is Third Party Logistics or 3PL? "Third Party Logistics or 3PL refers to the outsourcing of activities, ranging from a specific task, such as trucking or marine cargo transport to broader activities serving the whole supply chain such as inventory management, order processing and consulting." In the past, many 3PL providers didn't have adequate expertise to operate in complex supply chain structure and process. The result was the inception of another concept. 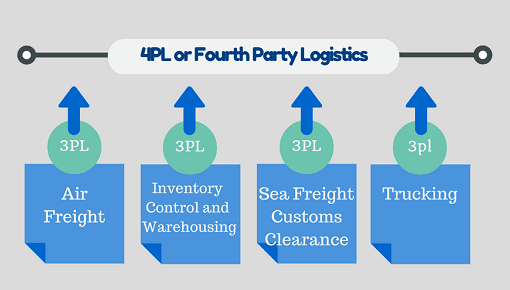 What is Fourth Party Logistics or 4PL? "Fourth Party Logistics or 4PL refers to a party who works on behalf of the client to do contract negotiations and management of performance of 3PL providers, including the design of the whole supply chain network and control of day-to-day operations"
What is Supply Chain Network? The word "management" can be explained briefly as "planning, implementing, controlling". Supply Chain Management (in supply chain education context) is then the planning, implementing and controlling the networks. When customer demand data is not shared, each player in the same supply chain must make some sort of speculation and this can become the management issues. According to the above graphic, the retailer has a demand for 100 units, but each player tends to keep stock more and more at every step of the way. This results in higher costs for everyone in the same supply chain. When information is shared via demand management from retailer down to supplier, everyone doesn't have to keep stock that much. The result is a lower cost for everyone. This is sometimes called the extended supply chain or supply chain visibility. Information sharing will also reduce the needs to use the digital transformation solution such as supply chains systems, digital supply chain, predictive analytics or artificial intelligence. What is Supply Chain Coordination? Information sharing requires a certain degree of "coordination" (it's also referred to as collaboration or integration in scholarly articles). Do you wonder when people started working together as a network? In 1984, companies in the apparel business worked together to reduce overall lead-time. In 1995, companies in the automotive industry used Electronic Data Interchange to share information. So, working as a "chain" is the real world practice. Working as a network requires the same objective, but this is often not the case (even with someone in the same company). "Conflicting Objectives" is the term used to describe the situation when each function wants something that won't go well together. For example, purchasing people always place the orders to the cheapest vendors (with a very long lead-time) but production people or project manager need material more quickly. To avoid conflicting objectives, you need to decide if you want to adopt a time-based strategy, low-cost strategy or differentiation strategy. A clear direction is needed so people can make the decisions accordingly. What is the Cost/Service Trade-off? The concept of Cost/Service Trade-off appeared as early as in 1985 but it seems that people really don't get it. When you want to improve service, the cost goes up. When you want to cut cost, service suffers. It's like a "seesaw", the best way you can do is to try to balance both sides. Real world example is that a "new boss" ask you to cut costs by 10%, improve service level by 15%, double inventory turns so the financial statement looks good. If you really understand the cost/service trade-off concept, you will agree that you can't win them all. The most appropriate way to handle this is to prioritize your KPIs. What is Supply Chain Relationship? To work as the same team, long-term relationship is key. Otherwise, you're just a separate company with a different strategy/agenda. So academia keeps preaching about the importance of relationship building but is not for everyone. Since there are too many suppliers to deal with, a portfolio matrix is often used to prioritize the relationship building to create supply chain partners. Focus your time and energy to create a long-term relationship with suppliers of key products and items with limited sources of supply (or items with high supply chain risk.) Because people and human resource are the factors that can make or break your supply chain. 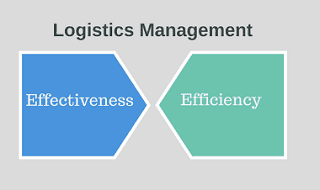 Is this the most comprehensive definition of logistics and supply chain management? - Hugo, M. (2003). 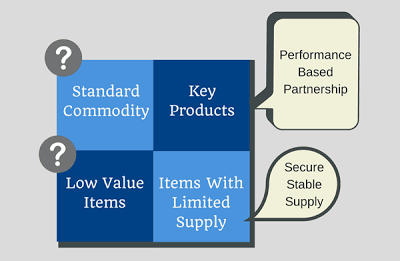 Essentials of Supply Chain Management. New Jersey: John Willey & Sons Inc.
- Coyle, J. J., Langley, C. J., Novack, R. A., & Gibson, B. (2016). Supply chain management: a logistics perspective. Nelson Education. - Schönsleben, P. (2007). Integral logistics management: Operations and supply chain management in comprehensive value-added networks. Auerbach Publications. - Simchi-Levi, D., Kaminsky, P., Simchi-Levi, E., & Shankar, R. (2008). Designing and managing the supply chain: concepts, strategies and case studies. Tata McGraw-Hill Education. - Kraljic, P. (1983). Purchasing must become supply management. Harvard business review, 61(5), 109-117. - Mentzer, J. T., DeWitt, W., Keebler, J. S., Min, S., Nix, N. W., Smith, C. D., & Zacharia, Z. G. (2001). 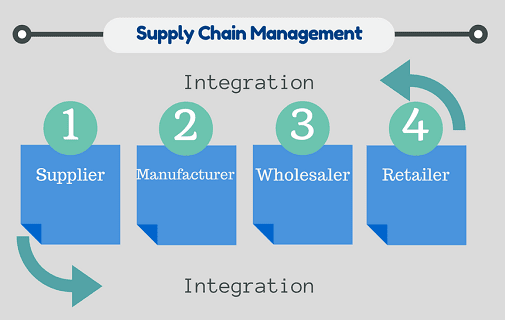 Defining supply chain management. Journal of Business logistics, 22(2), 1-25. Ben Benjabutr is the editor of SupplyChainOpz. He holds an M.Sc. 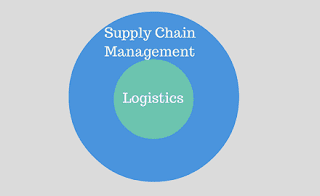 in Logistics Management with 10+ years of experience in various functions in supply chain magement. In his free time, he enjoys reading business and management books. You can connect with him via Twitter, and Quora or drop him a line via e-mail.